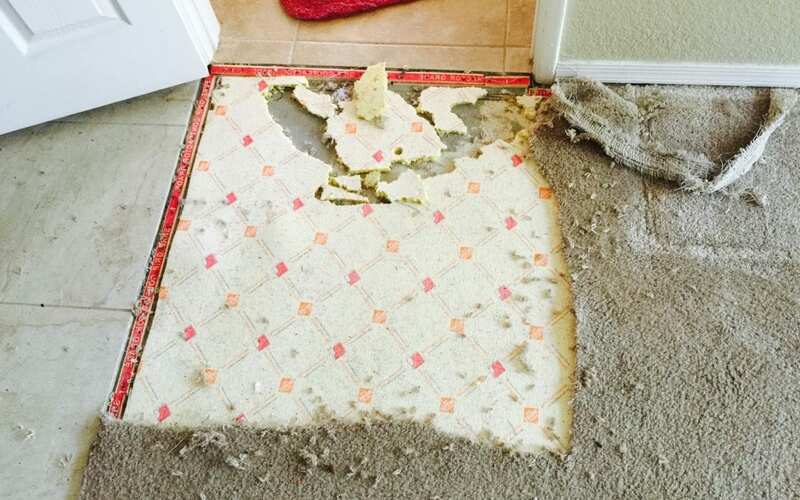 We got a call from lady who explained their pet had damaged the carpet on the landing of the stairs. She notified me that her husband tried to repair the area himself but she was not happy with how it turned out. We had to cut a piece from a closet to use for the carpet to be repaired, then we placed a non-matching beige carpet remnant back into the closet so they weren’t left with a hole in the closet. We even covered up the hole her husband left in the closet. Husband didn’t do to bad of a job! We made sure the seams weren’t as visible this time around. The reason you can still see the patch is because the closet carpet is slightly newer looking than the carpet in this high traffic area. Once the carpet is steam cleaned, it will blend in more.